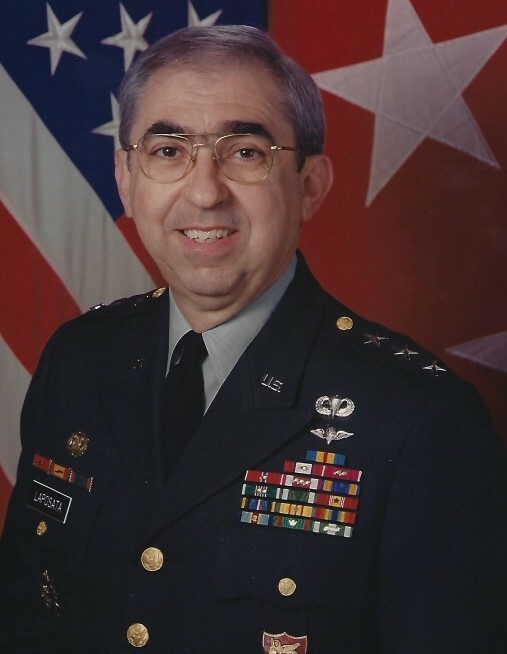 Lieutenant General Joseph S. Laposata was born to Joseph and Mary Laposata on 3 October 1938, in Johnstown, PA. He was the oldest of four children and the first of the generation that was fully assimilated into the American culture after his grandparents immigrated to the United States from Italy early in the 20th century in search of economic opportunity. 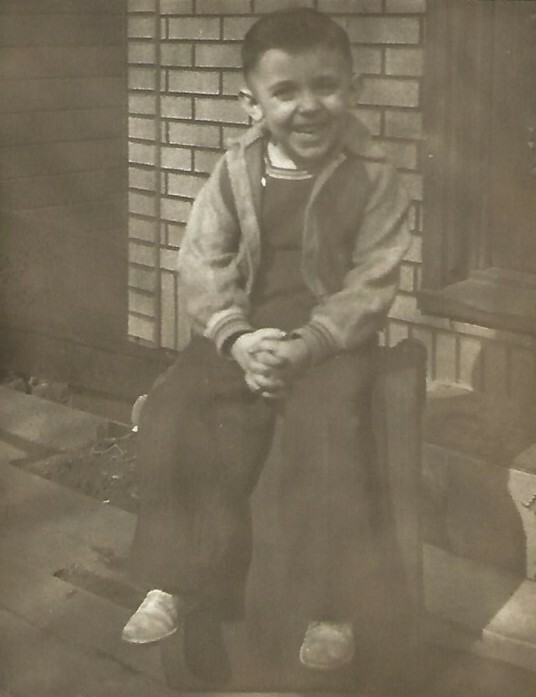 Joe began to work in his father’s barber shop at 10 years of age. Advanced from janitor, to cashier, to shoe shine boy, Joe passed all exams and earned his barber license at 16. After high school, Joe attended Indiana State Teachers College in Indiana, PA, and paid every penny of his college tuition. He graduated with a degree in Biology and a Chemistry/Physics minor. Appointed a Distinguished Military Graduate, he received a Regular Army Commission and immediately entered active duty service. Joe served as an Infantry officer and was later transferred to Logistics to serve as a parachutist and parachute rigger. He served in the 2nd Separate INF Brigade, the Fifth Infantry Division on two separate occasions, and the 8th Infantry Division as well as a posting to the 8th Division’s Airborne Brigade. He also served in the 25th Infantry Division in combat in Vietnam. He was given a sabbatical to attend Cornell University and was awarded a Master’s Degree in Agricultural Economics. Joe was also attached to the US Air Force for a year and served in the 56th Special Operations Wing. He served in the Pentagon on two occasions culminating in an assignment as the Chief of Logistics Plans and Operations for the U.S. Army. His military career terminated with an assignment in Naples, Italy, as Chief of Staff of NATO’s Allied Forces Southern Europe. After 33 years of service, General Laposata retired at Fort Lee, Virginia in 1993. His retirement plans were interrupted when he was appointed by the President of the United States to serve as the Secretary, American Battle Monuments Commission in Washington, D.C. This service was later interrupted when he was asked to serve in a diplomatic post as the Deputy General Manager and Director of Logistics at NATO’s Maintenance and Supply Agency in Luxembourg. 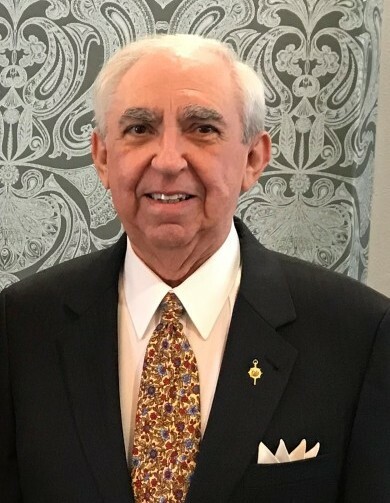 Returning to the United States and moving to the Indian River Colony Club in Viera, Florida, he lectured and mentored in the ROTC Department at Florida Institute of Technology and served on numerous corporate and academic boards. Joe married Anita, the girl down the street, in 1961. They first met as children and later became college sweethearts. They shared the virtues of a common character base and the Christian religion. Anita is exceptionally bright and they had a loving relationship. Joe was sustained by Anita in his busy life and his love for her knew no bounds. 70 to 80 hour weeks were common for 20 years; Anita managed the home, children and dogs with extraordinary skill. They lived 15 years in Italy, Germany and Luxembourg. After 37 years of public life and another 17 years of private endeavors as well as writing a book titled It’s All About Choices, he fully retired in 2016. Joe is survived by his wife Anita; three married sons, Joe/Christie (Toronto, Canada), Dave/Carol (Santa Fe, NM) and Matt/Lisa (Atlanta, GA); seven grandchildren – Albert, Cameron, Danny, Edward, Lauren, Mike and Saffron; and brothers Sam/Kathie and Michael/Susan and sister Dolly/Mike. Loved by his family and highly decorated by both United States and foreign governments, Joe goes to his reward content that he ran the race of this life using all his talent and character. Joe had few regrets; but did note that he wished that he had learned to play Bridge.